The results are in, the Wasteland Bar Fight Protagonists has gotten names! Open beta is still running, so there still time to join in and report bugs! Head on over to Wasteland Bar Fight and join the Android beta today! 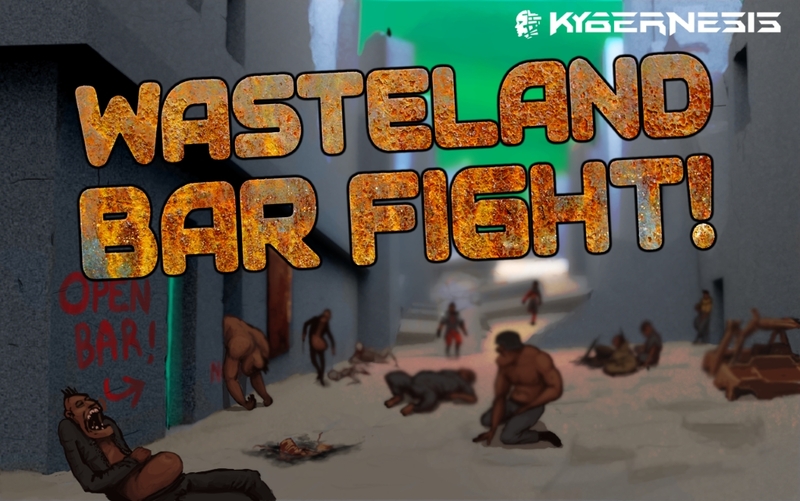 Wasteland Bar Fight is part of SlideDB App of the year 2014 and we need your vote to be nominated to the next round! Just click the image below to head on over to our game page at SlideDB and hit that Vote button and we will be forever grateful. We’re still looking for more feedback on our Beta builds, so if you like the idea of virtual fighting, beer drinking and bug busting, head on over to Wasteland Bar Fight and join the Android beta today! On monday 27. October, the annual Trondheim Developer Conference will be held here in Trondheim, Norway. They have an excellent offer of a free stand for any young startup so we decided to take them up on that offer. This means we will be found on our very own stand at this year’s Trondheim Developer Conference(TDC) expo area. If you’re in Trondheim on monday, DO attend TDC and DO come by our stand to test out our latest WBF build and have a chat with us. In other news! We’re also going to have a stand at this years NxtMedia Conference on November 12th after attending their pitching competition. The NxtMedia Conference is also in Trondheim and we got some local press coverage because of the aforementioned pitching competition. The article is only in Norwegian sadly, but if you’re really interested, there’s nothing stopping you from using Google Translate. Beta testing of Wasteland Bar Fight is going great so far, but we still would love to have more testers for our Android builds. If you have an Android phone and want to test it out, head on over to wbf.kybernesis.com and join up! For you iOS people, we’re working on beta release for iOS too very soon. Just head on over to the same site and join the iOS beta and we’ll notify you as soon as we have a build available. Head on over to wbf.kybernesis.com to check out screenshots, gameplay video and join our beta today!